Pembroke Lodge is a wonderful venue for a wedding set in Richmond Park, Surrey. As one of their recommended florists I am lucky enough to do a lot of weddings there. 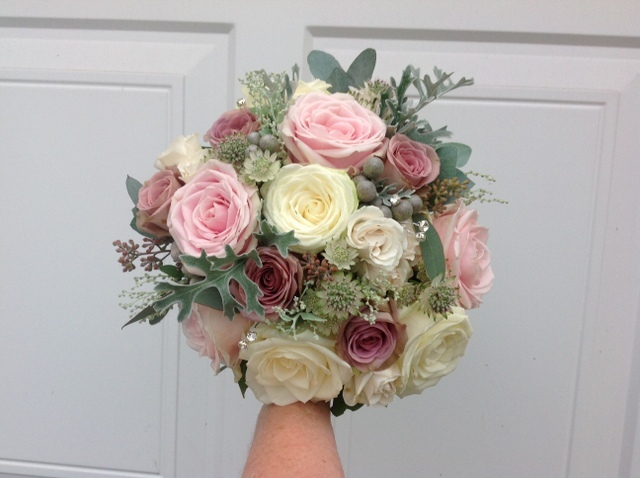 A couple of weeks ago I did the flowers for Olivia and Ben for their special day, a sunny and warm October day, their scheme being white/ silver and muted pinks. I’m looking at the fantastic flowers from Olivia and Ben’s wedding day, that are still going strong! 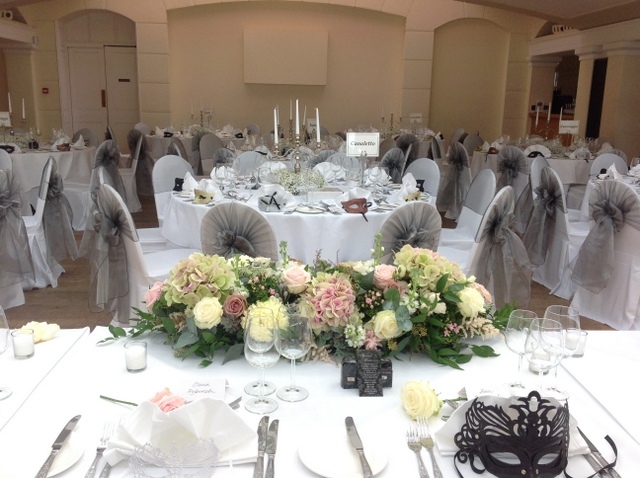 When we walked into Pembroke Lodge on Sunday, The Belvedere Suite looked so beautiful. 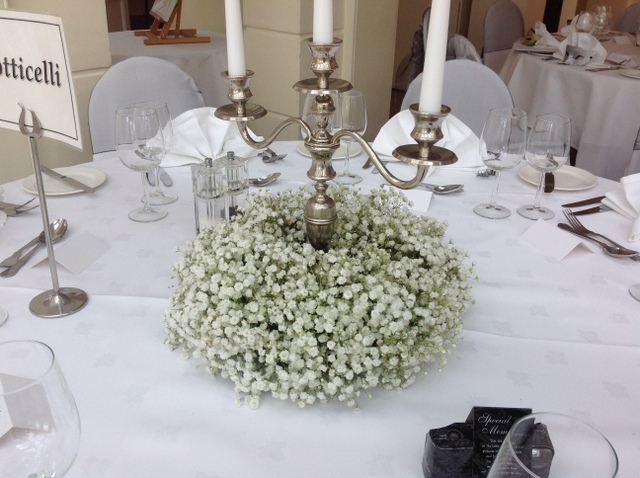 The flowers that you arranged were stunning and played a big part in creating an elegant setting. 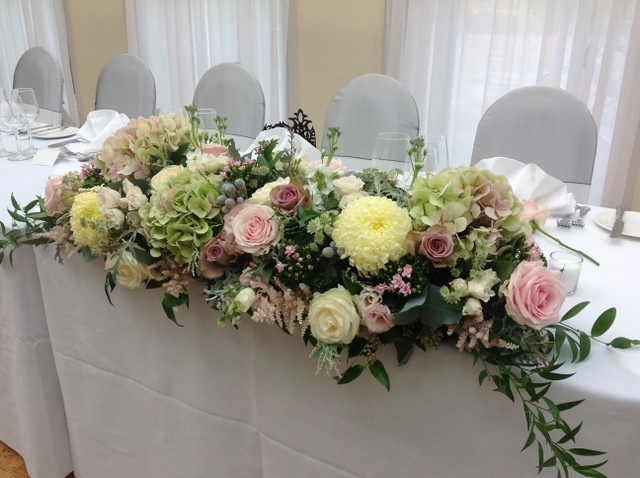 The blend of colours on the top table were perfect and and the arrangement looked lush and generous. Thank you very much for providing just what we wanted and playing an important part in this most special day!